Tazo Iced Tea Green, 32 Ounce -- 6 Per Case. Satiate your guests' craving for something out of the ordinary with Tazo Peachy Green Iced Tea Concentrate. This premium iced tea concentrate requires no brewing and is made with an artful. imaginative blend of bright green teas. sweet peach. cool spearmint. ginger. and a touch of sweetness. This slightly sweet tea concentrate also allows you to easily expand your beverage offerings to include creative drinks like green tea lattes. peachy green tea coolers. tea cocktails. spritzers. and more. Whether you're an office manager looking to ignite the creativity of your workforce. or a caf owner in search of a deliciously unique flavor offering. you will love serving this beverage that inspires joy and wonder with every sip. Add Unexpected Twists to Traditional Teas. You can please a variety of tastes with the artful, imaginative blends of extraordinary tea leaves, botanicals, and spices. 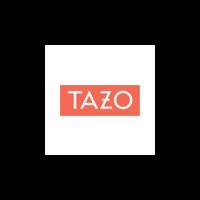 The deliciously unique flavors from Tazo® are a favorite among Millennials (Highest Millennial Buyer Index in Premium Hot Tea, IRI 2017). Tazo Iced Tea Passion, 32 Ounce -- 6 Per Case. Tazo Concentrate Chai Tea, 32 Ounce -- 6 Per Case. Tazo Iced Tea Vanilla Caramel Chai, 32 Ounce -- 6 Per Case. Tazo Iced Tea Green, 946 Ml -- 6 Per Case. Tazo Iced Tea Black, 946 Ml -- 6 Per Case. Tazo Iced Tea Passion, 946 Ml -- 6 Per Case. Monin Iced Coffee Concentrate, 1 Liter -- 4 per case.